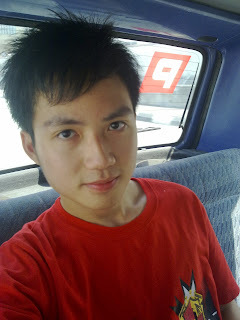 My phone camera got really handy during my one week break in Ipoh. The amount of pictures i snapped, however, is trivial compared to my pre-NUS days, well partly because the phone i owned back then, Sony Ericsson's K810i takes way better pictures compared to my lame Nokia N79 now and i had not experienced the magic of DSLR back then. And digital cameras are for girls. Nevertheless, some pictures must be taken, no matter how bad the quality of your camera may be, because it's part of our memories in life. Who knows? One day in the future i might be looking at these photos thinking with a smile how different life had been. Or i can show it to my grandchildren (assuming i can get married) to share some laughter and stories. 1. A home made aquarium table! 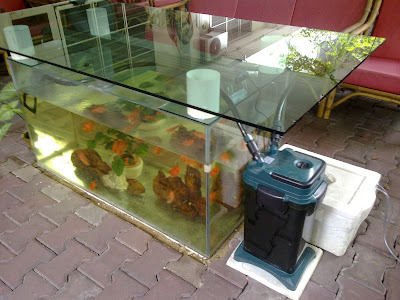 Imagine being able to see fishes swimming under you while you're studying or eating on the table! I'm guessing this special piece of furniture is made by Brother Matthew Bay, one of the last remaining Lasallian Brothers in my school who has an incredible amount of creativity. As far as my limited technical eyes can see, the table is made from a normal aquarium as the base and a glass sheet as the part where you can put your stuff, supported by six PVC pipes. I wonder if Brother Matthew would mind making one for me so i could bring back to my university hostel? Perhaps my grades would increase if i study at a table like this. 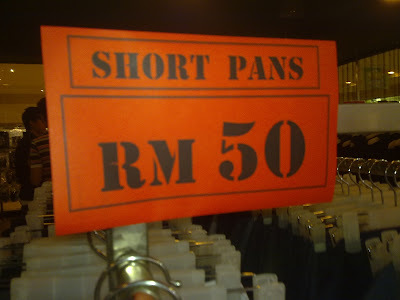 Unless the pants that they are selling can also be used as a kitchenware other than a clothing material, i think that the person who wrote that must be either half-asleep when he wrote that or has been failing his English classes since primary school. I would vote for the second explanation though, given the fact that the whole shop was filled with signs like this. Surely he would have realized the error made when he was filling up the entire shop with "Pans" promotion. Oh well, maybe it's a publicity stint or maybe he's still half-asleep, but we'll never know. Not wanting to be outdone, a coffee house decides to make its own grammar mistakes too! Just that this time, the mistake is on the Malay sentence rather than an English one. 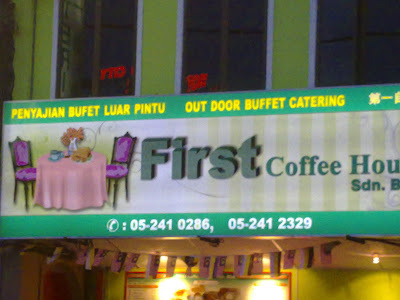 If one were to translate the Malay sentence, it would literally mean "Outside door buffet catering" rather than outdoor. Which means you'll have the buffet just right next to your door. My bet is that the fellow used Google translate for the English translation. Oh wait, even the outdoor is spelled wrongly. It's "out door" rather than "outdoor". No wonder he got a result such as "outside door buffet catering". Of course, you can't blame me for doing that after i've just gotten a RM 20+ haircut and that i'm finally beginning to look at least authentically handsome. 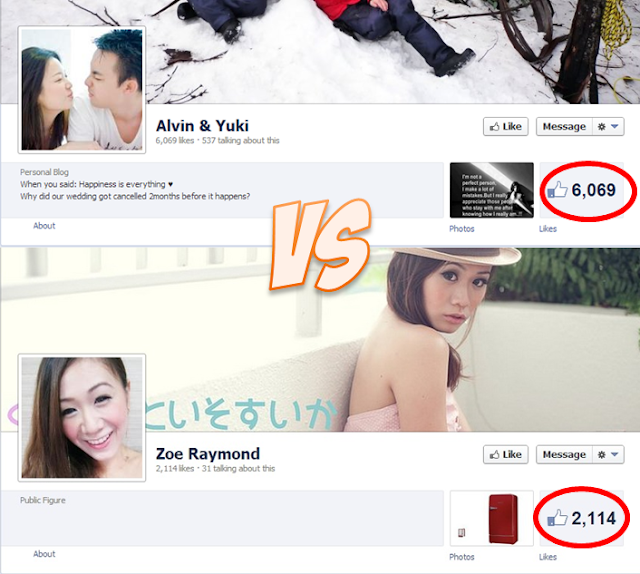 After all, you can't be handsome everyday right?